Over the past three months, America’s two major parties spent over $12 million on a race for a House vote that won’t matter — in a district that will soon cease to exist. Which is to say: Last night’s special election in southwestern Pennsylvania was, primarily, a battle over this morning’s headlines. A victory for Democrat Conor Lamb was never going to threaten a single item on Paul Ryan’s agenda — but it would threaten his colleagues’ peace of mind. A win for Team Blue in the heart of Trump country could convince GOP incumbents that a blue wave was coming, thereby pushing more into retirement, depressing contributions to campaigns, and torpedoing morale across the board. Thus, the actual result of the election would matter less than the lessons that it appeared to teach. 1. The GOP’s House majority is (probably) not long for this earth. Before voters went to the polls in the Keystone State yesterday, there was already good reason to think Paul Ryan would soon be parting ways with his Speaker’s gavel. 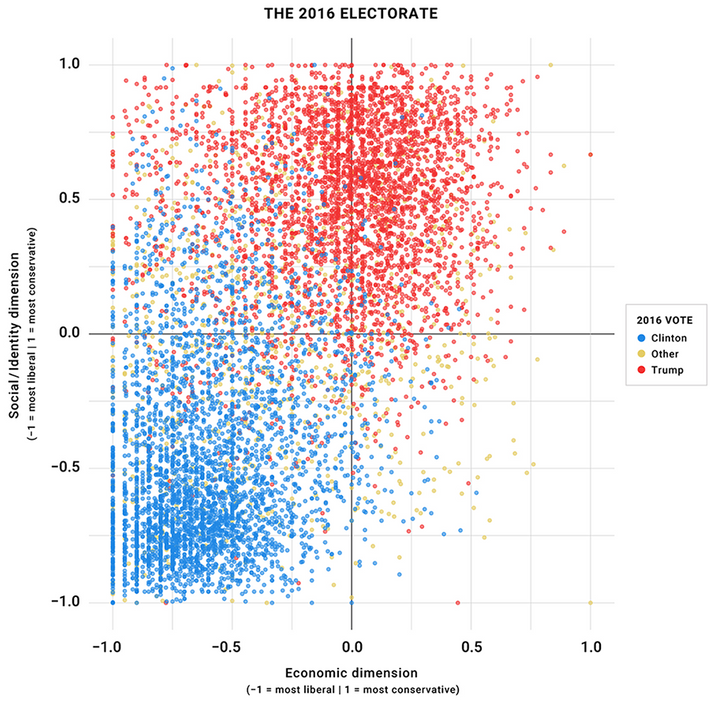 Historically, there’s been a strong correlation between a party’s performance in off-year special elections and its showing in the ensuing midterms. 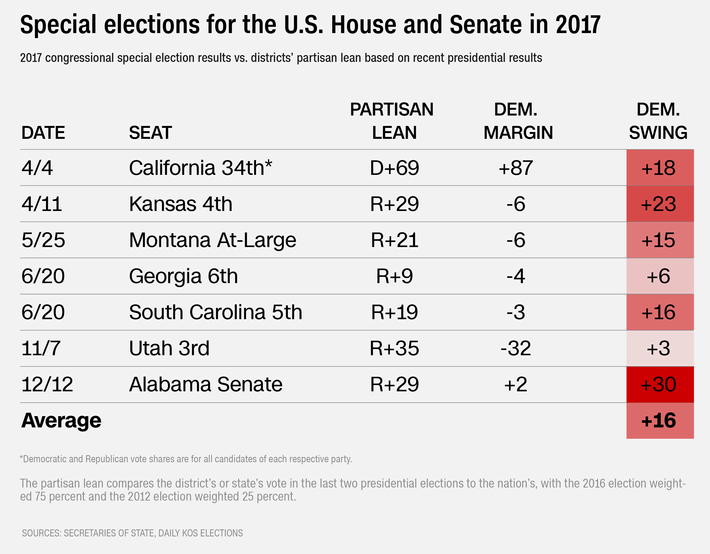 And, as CNN’s Harry Enten notes, the performance of the Democrats in said special elections has been exceptionally strong. Still, before last night’s showdown, the GOP retained one plausible argument for downplaying these results: Special elections are special. Such contests allow the more energized party to focus attention and resources on a single race, and to mine a greater advantage out of an enthusiasm gap. 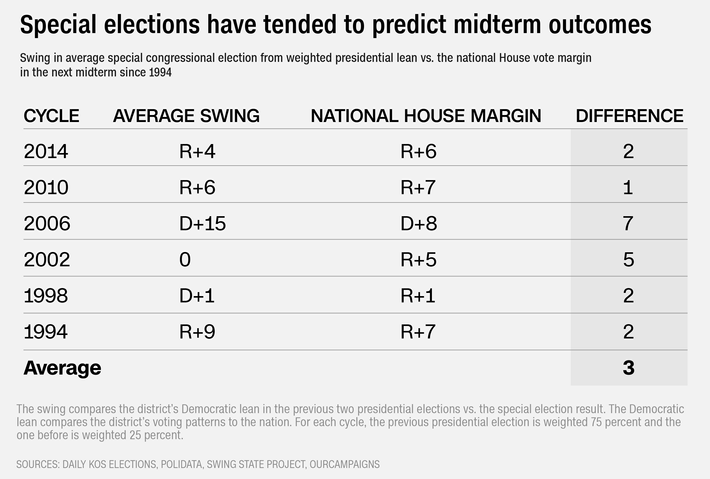 Since turnout is generally lower in special elections than in midterm ones, it’s easier for a (relatively) small number of highly motivated voters to engineer upsets in the former than in the latter. But turnout in the Keystone State last night was at midterm levels. And if the specialness of the congressional race allowed Democrats to focus their resources on the election, well, that was even more true for Republicans. The GOP outspent the Donkey Party, and flew in the president of the United States to campaign for its candidate. And as of this writing, Conor Lamb is, nonetheless, the presumptive winner of an election that remains too close to officially call. Democrats need to flip 23 seats this fall to win control of the House. There are 118 congressional districts that have more Democratic-leaning electorates than the one Lamb (appears to have) won. 2. Democrats can win back white working-class voters with economic populism (where the labor movement still exists). The constituency for the Republican Party’s economic agenda is exceptionally small. In a recent analysis of voter opinion data, political scientist Larry Bartels shows that a majority of Republican voters support “government efforts to regulate pollution, provide a decent standard of living for people unable to work, and ensure access to good health care.” That finding is buttressed by Lee Drutman’s study of the 2016 electorate, which found that more than 70 percent of voters that year held left-of-center positions on fiscal policy, as well as by the large number of polls that found GOP voters expressing support for increasing health-care spending — and opposition to tax cuts for the rich — in 2017. Lamb’s strong showing last night would have been impossible without these voters, and he succeeded in winning over a critical mass of them without engaging in dog-whistle demagoguery. Lamb did make some concessions to cultural conservatism, most conspicuously on guns. But he vehemently rejected Republican Rick Saccone’s attempts to pin the opioid crisis on immigrants, and ran as a pro-choice, pro-LGBT candidate. Instead of trying to beat the GOP at its culture war game, Lamb worked to make bread-and-butter issues more salient — and succeeded, thanks, in no small part, to the aid of the labor movement. According to a telephone exit poll from Public Policy Polling, 52 percent of voters in last night’s election ranked health care as one of their “top issues” — with 15 percent saying it was the single most important one, and 37 percent saying it was “very important.” And on that issue Lamb enjoyed a seven-point advantage. This wasn’t because conservative voters failed to turn out; last night’s electorate narrowly approved of Donald Trump, according to PPP’s survey — but they disapproved of the GOP’s attempts to repeal Obamacare by 14 points. Last week, when I drove through Greene County, which Trump won handily, I noticed flocks of blue and white Lamb road signs among signs advertising vape shops and a local Mace dealer, and 800 numbers for the sale of oil, gas, and mineral rights. The next day, I passed more signs lining rural back roads as I drove to a warehouse that smelled of fresh sawdust. Hundreds of local union members were waiting for Lamb to appear with Joe Biden, the one national Democratic leader who is still liked in Pennsylvania, in no small part because he comes from Scranton. …“This isn’t a referendum on Trump,” [Machinists’ union representative Kevin] Hallam said, explaining that it was about work and health care and wages, and that Lamb’s opponent stood on the wrong side of all of these issues. This way of thinking is a real threat to the GOP. And labor unions are uniquely capable of turning working-class voters onto it. This is why Republicans have prioritized the passage of anti-union legislation in other Rust Belt states. In fact, one of the GOP’s few consolations after last night’s election is that — while PA-18 is a “Trump country” district, it’s one (of a relative few) that lies in a non-right-to-work state. In a demographically identical county in Wisconsin, Michigan, or Iowa, Rick Saccone probably would have posted a decisive victory. 3. Democrats don’t need to sell out reproductive rights to compete in red America. As noted above, Lamb ran as a “personally pro-life, but politically pro-choice” candidate — in a district where the Republican incumbent just resigned in disgrace for revealing himself to be the opposite. If Lamb does pull out a victory, this will be the second consecutive high-profile special election in (deep) red America where Democrats triumphed with a pro-choice standard-bearer — Doug Jones having accomplished that feat in Alabama late last year. There’s been less of a leftward drift in public opinion on abortion than on other social issues. But the reality is, Democrats are never going to win passionately pro-life voters. And Lamb’s win suggests that Team Blue can win over moderately pro-life ones in red areas merely by giving voice to their moral qualms on the issue — while making the libertarian case against getting government involved in such intimate matters. 4. Opioids can be a gateway issue for Democrats in rural America. The year Donald Trump was elected president, drug overdoses killed 63,600 Americans. The epidemic’s body count was almost certainly higher in 2017, according to preliminary data from the Centers for Disease Control and Prevention. And yet, despite his campaign promises to solve the opioid crisis, Trump has done virtually nothing to address the plague — but has tried to cut $1 trillion in funding from one of America’s top sources of addiction treatment, and allowed his attorney general to wage war on legal marijuana, which many in rural America now see as a much-needed alternative to opioids for those suffering from chronic pain. This grotesque failure to mitigate a public health emergency — concentrated in white rural America — offers Democrats an opportunity to make inroads in that hostile territory. And, by all appearances, Lamb capitalized on it. While the Democratic candidate declined to attack the White House over the issue, he did make the crisis a central one in his campaign, and called for an expansion of federal funding for 90-day treatment centers. Other Democrats in rural districts this fall would do well to follow his example. 5. The suburbs are revolting. Lamb’s inroads with rural, working-class voters kept him competitive — but his base was still in the elite suburbs of Allegheny. This isn’t surprising. The biggest development in American politics over the past 14 months has been the suburbs’ secession from red America. For decades, these high-income enclaves had been a key part of the GOP base; now, some look like battlegrounds — while others look like blue America’s new frontiers. The upper-middle-class’s left turn gave Democrats a ten-point victory in Virginia’s gubernatorial race, powered Doug Jones’s unlikely victory in Alabama; and helped Team Blue outperform expectations in nearly every special election held in 2017. White working-class voters tend to view the Democrats’ fiscal positions more favorably than its racial and gender ones. The opposite may be true for some high-income suburbanites — but not for most. College-educated voters tend to actually hold more progressive views on fiscal policy in public opinion polls than their working-class counterparts. And the GOP’s fiscal agenda has now grown so extreme, it no longer serves the material interests of the average suburban professional — only the average trust-fund millionaire. Charles Koch may have little use for well-funded public schools, universities, Social Security, or child-care subsidies. But the upper-middle-class class does. Democrats can draw strength from the (female-led) anti-Trump rebellion in the suburbs — and win back working-class voters with populist economic appeals — all while honoring the progressive movement’s commitments to racial equality, reproductive freedom, and immigrants’ rights. 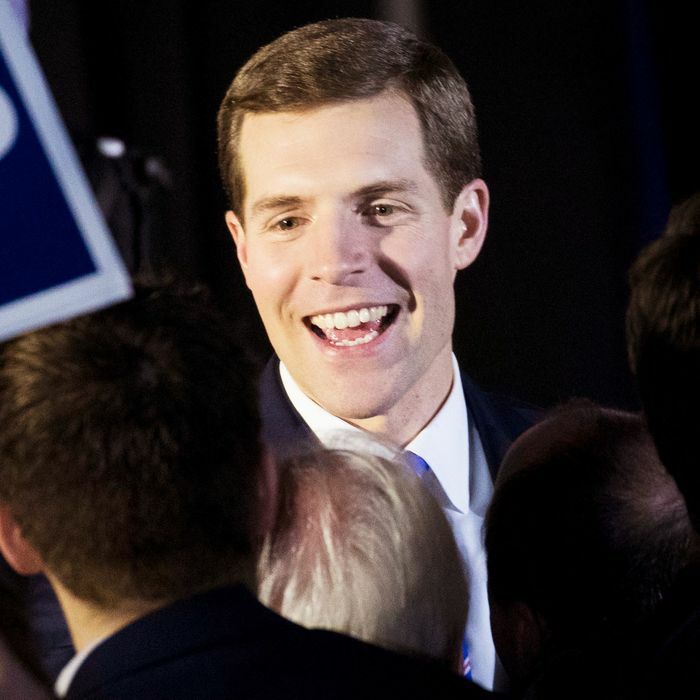 Last night, in the heart of Trump country, Conor Lamb did just that.